Many AV resellers and integrators find themselves deploying suites of new technologies to support education. Traditional AV gear like flat panels and speakers are being augmented with learning management software, lecture capture and wireless collaboration systems. If you look at operational spending in education (where technology and AV is tracked) there has been a 26% increase from the late 1990s to 2008 and that trend continues. (If you’re selling or working in the educational space, take a look at the Trends in College Spending report.) All this focus on infrastructure and technology spending leads one to wonder: Is all that new spending actually improving one of the most important metrics of educational success – student engagement? Well, it looks like it certainly has. The Center for Community College Student Engagement has just issued its report on student engagement in our public institutions over the previous decade. The punchline? 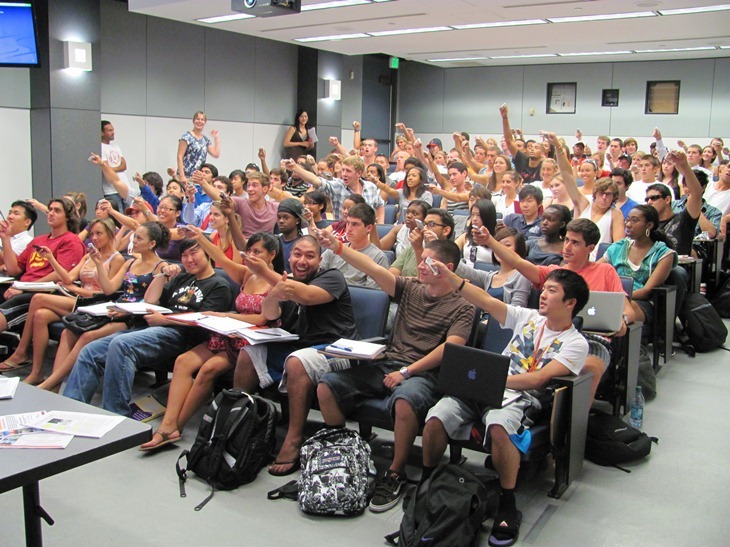 Students are more engaged with each other, their content, and their faculty than ever before. Over the same time period student demographics haven’t changed dramatically, so this type of across-the-board rise can only be attributed to changes in policy and practice. One of the major policy trends in the educational space has been to deploy technologies that foster a more collaborative, involved, and “flat” classroom. Integration of student devices, embracing student-to-student interaction, and self-guided discovery are all important changes over the past decade that are supported by the correct mix of AV technologies and new pedagogy. As an example, take a look below at the level of student-to-faculty engagement via email over the past 10 years. Dramatic. This type of engagement can only increase as new collaboration technologies are brought to bear. Document co-editing via Google Docs, instant messaging via Lync, or multi-source wireless collaboration between faculty and students via Solstice are all examples of technologies that are only now beginning to have impact in the educational space. Can’t wait to see where we are in 2025. The report is a good read, and I’d recommend it for anyone working in the educational space. In my previous life as a professor, student engagement was perhaps the most important metric of success. So if you’ve been rolling-out new educational installs as an integrator, are designing software for the classroom, or are spec’ing AV infrastructure in the educational space – give yourself a big pat on the back. Some of this success is due to your hard work over the past decade. You can take a look at the whole report here.